The first legitimately good news for Republicans since Romneydammerung comes to us from the wild, wonderful state. 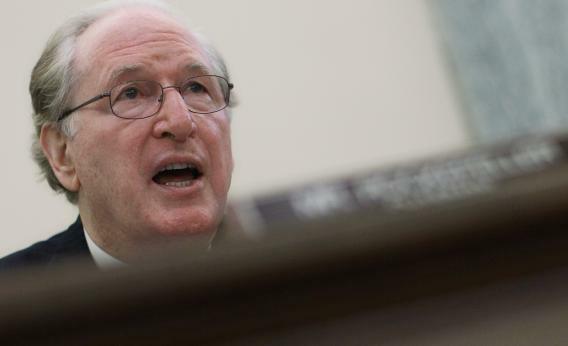 West Virginia Republican Congresswoman Shelley Moore Capito will announce Monday morning that she is running in 2014 for the U.S. Senate seat now held by Democrat Jay Rockefeller. Republicans have been itching for Capito to run statewide ever since she got to the House, in 2000. The daughter of former Republican governor Arch Moore, she would have made a natural opponent for Sen. Jay Rockefeller, who’d defeated her father in the 1980s. But 2002 wasn’t the right year to move up, and 2008 – despite McCain’s victory in the state – was a weak year for Republicans. Capito wisely decided against challenging Robert Byrd for his final term in 2006, and knew that Sen. Joe Manchin was too difficult to beat in 2010 or 2012. But Rockefeller? The one poll I’ve seen on this race, a Public Policy Polling survey from a year ago, gave Capito a 4-point lead in a trial heat. She pulled 28 percent of West Virginia Democrats away from him. It makes perfect sense: Rockefeller is not as reliably conservative or reliably whatever-you-say to the coal industry as Manchin is. He supports the EPA’s new rules on air toxic standards. Manchin led the fight against them. There’s more! Rockefeller endorsed Barack Obama before the 2008 primary, sticking with him even as his state’s Democrats voted in a landslide for Hillary Clinton. Manchin wouldn’t even say, this year, whether he was voting for Obama. On November 6, Barack Obama became the first Democratic presidential candidate – ever – to lose every single county in West Virginia,* as Mitt Romney carried the state in a 2-1 rout. Manchin was re-elected by more than 20 points. Just as Tim Kaine probably couldn’t have won Virginia 20 years ago, Capito probably couldn’t have won West Virginia. She’s bided time until the state’s demographics and donor class have made it very difficult for a coal-skeptic Democrat to win. *Even George McGovern carried one county, tiny Logan in southwest WV. West Virginia’s one place where a strong conservative could win a primary – the Republican voter base is still small. But until this election, when they took the AG’s office, Republicans had no statewide electeds in the state.